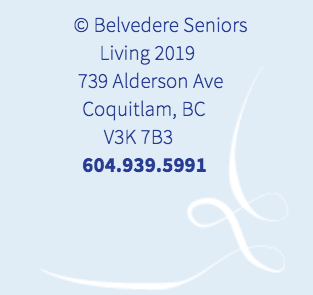 "I am the Medical Coordinator for Belvedere Care Centre and have functioned in this capacity since 1999.....The facility is wellorganized with high quality staff. The nurses provide a high standard of care and act appropriately to meet residents' needs...There is clear and open discussion regarding any changes in protocols or other aspects of care. The overall management of the facility results in a friendly, caring atmosphere... I am pleased to be associated with Belvedere Care Centre...."
"I have been associated with Belvedere Care Centre for fourteen years....The consistent and diligent focus on what is best for the residents continues to be first and foremost." "In my 26 years of clinical experience as a pharmacist I have served hundreds of nursing home beds. Belvedere Care Centre staff and management provide some ofthe best care possible for their clients." My 83 year old father-in-law was diagnosed with renal failure in late 2001 and had to undergo peritoneal dialysis at home every day…In early 2003 my mother-in-law became seriously ill also…I contacted a few care homes for my father-in-law but all of them declined to perform dialysis at the facility until I met Annamae at Belvedere Care Centre. She was very positive and arranged for her staff to attend training at the Renal Unit of Royal Columbia Hospital right away. Eventually, my mother-in-law joined Belvedere in late 2003. Both my in-laws and my family find that Belvedere is nice and clean. Every staff member… show love and care to the residents. “I, as Pastor of Our Lady of Fatima Parish, want to express my full support for the construction and establishment of an Assisted Living and Independent Living complex Residences at Belvedere on Delestre Ave.
Clients “expressed considerable praise for the warmth of the staff”. 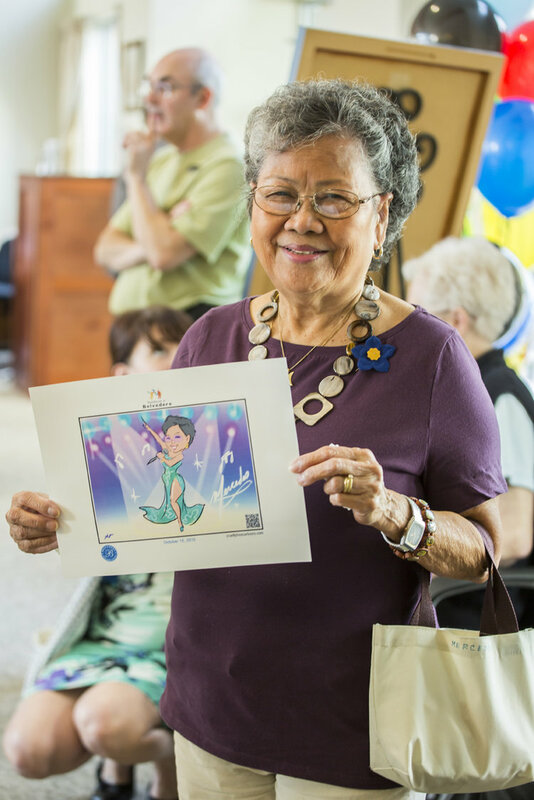 “…staff would approach them (residents) to comfort them, give them a hug and ensure that they were alright”. “…the services of the physiotherapist …highlighted as a positive addition” … “as well as the diversity of programs being offered”. “The partners feel like a member of the team and are very supportive of the team members”. – “They are welcomed by staff”.